Thank you for considering becoming a foster family with BCBC! 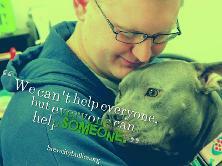 Volunteer foster homes are a critical part of our ability to find forever homes for deserving pit bulls. Foster families provide love, attention and training to dogs in need. 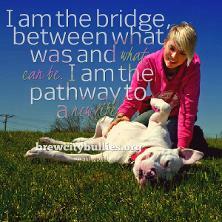 We hope this page provides you with insight into BCBC's foster program! What does BCBC provide to foster parents? BCBC will meet with you to help get your home ready. BCBC will support you with: vet care, dog training, crate and all the other stuff... blankets, toys, leashes, collars, etc. BCBC will provide you with a Foster Home Representative that will support you throughout the foster process, this includes helping with vet visits, adoption events, photo shoots and taking your dog on Foster Field Trips. BCBC will offer you training if needed from a professional. We will also train you! BCBC will find you a dog-sitter for the occasional work travel and vacation getaways. Don't think you can foster? You CAN! We'll help you! "Fostering has been an experience of a life time. I have made a real, lasting difference in the lives of many dogs and their current families that now love them to pieces. I've had the privilege of being able to help dogs that were so afraid of human touch become cuddly, confident, couch hogs. I've been able to help puppies begin the journey to becoming breed ambassadors. Watching them go to their new adoptive homes has always been hard. If you don't love your foster dog, you're doing it wrong. BUT, knowing that I helped an adoption happen was all the reason I needed to do it all over again." How to become a BCBC foster parent - a step by step guide! 5. Get ready to love your foster dog! We pull a large majority of our dogs from our local animal control facility. Once a dog is pulled, it will come to the BCBC Rescue Retreat to decompress from shelter life before moving to a foster home. Dogs will go into your home right from the retreat, not the shelter. This is a huge benefit to all involved and will allow us to make better matches between foster dogs / foster families. Can I have my dog meet a potential foster dog before I commit? 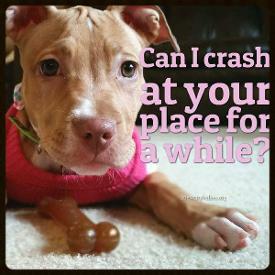 Yes, but you still need to fill out an application and be approved to foster with the BCBC. The Rescue Retreat allows us to get to know our rescue dogs before placing them in a foster home. This means we will have the ability to do quick meetings between dogs before foster placement. How long are dogs in foster care? Every situation is different. The average stay is about 2-3 months. Am I responsible for finding my foster dog a home? No. BCBC works to find foster dogs homes, however, foster parent(s) are encouraged to participate in adoption events. Do I need any experience to foster a BCBC dog? No. BCBC gives you training guidance, support and resources. What if I don't live in Milwaukee, can I still foster? 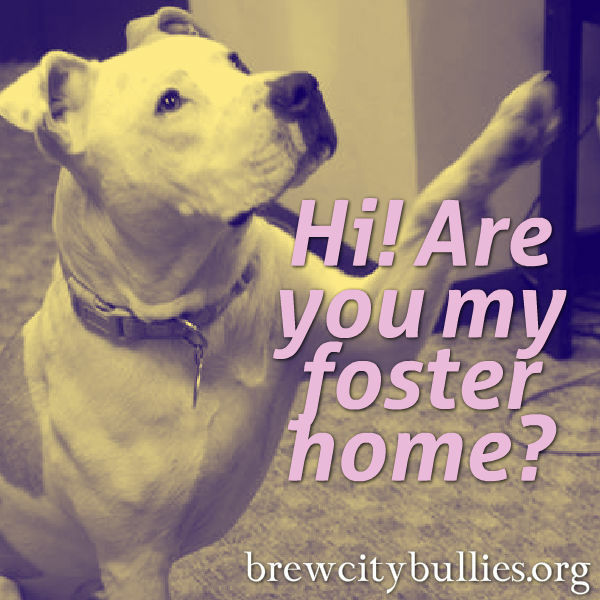 BCBC welcomes fosters who live in Milwaukee, Waukesha, Ozaukee, Washington, Racine and parts of Jefferson counties. 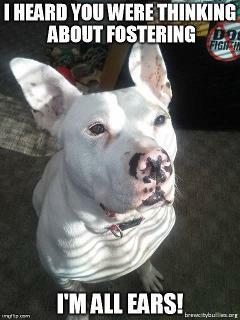 Learn More about Fostering with BCBC! 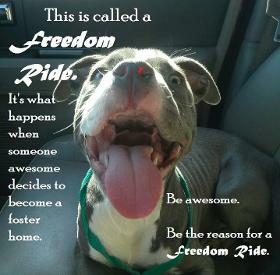 Read through our guidelines, view our manual for more in depth info, then fill out a Foster Application! Check out the video below from Red's forever family! This family would not have found each other if it wasn't for our amazing foster homes! How did you learn about BCBC? Thank you for your interest in and support of BCBC rescue and adoption efforts! Your message is important, and we will respond as soon as possible. We are a small, but dedicated staff and want to provide you a quality response. Thank you in advance for your patience!